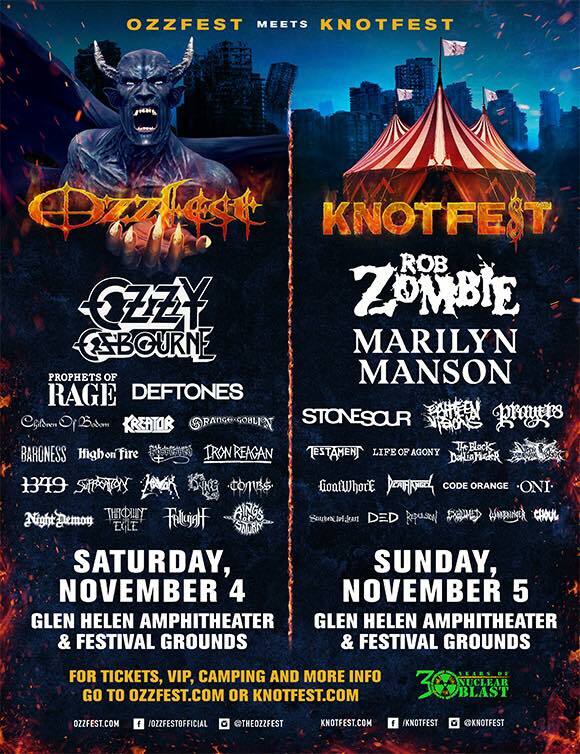 Ozzfest meets Knotfest will return to San Bernardino, California in 2017, and is set to take place at Glen Helen Amphitheater & Festival Grounds, Saturday-Sunday November 4th-5th, with a pre-fest kickoff event on Friday November 3rd (exclusively for all ticketed campers). 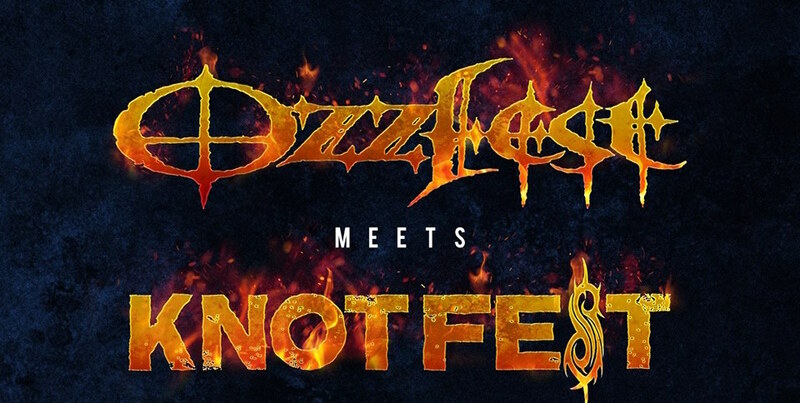 Tickets go on sale Friday July 14th at Ozzfest.com and Knotfest.com. Early ticket prices range from $29.00 for a single day GA lawn ticket to $239.00 for two-day GA pit passes; a variety of VIP packages are also available for each day. The full lineup for the festival has been revealed. Check it out below, along with quotes from Ozzy and Sharon Osbourne, Clown and Corey Taylor.